It’s autumn, and despite being an agreeably insane sort of busy right now, I had a chance to go out at lunch today and take in the seasonal delights. Peak foliage around town was actually probably the end of last week, but there’s still a lot of gorgeous to be had, and that brilliant invigorating bite in the breeze today is the sort that makes me glad to be alive. 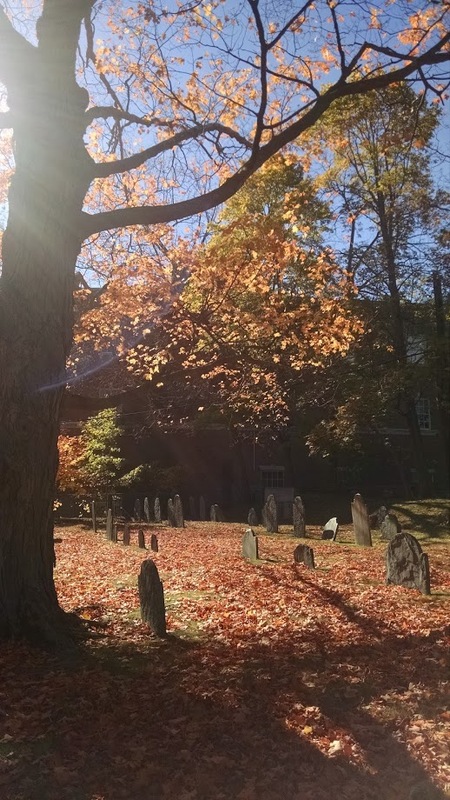 And so in celebration of my favorite season, have a poem by fellow New Englander Emily Dickinson! If you’re hungry for more autumnal poetry, you might want to check out this Wednesday’s Improbable Places Poetry Tour. Imagined, organized, and hosted by poet and Montserrat professor Colleen Michaels, this month’s stop on the tour is at Green Meadows Farm in South Hamilton, MA, and a gathering of poets will be reading a selection of their works on the theme of “Harvest/Moon”– including me! I’ll be there to listen, bask by the bonfire under the moon, and read one of my own night sky pieces. Hope to see you there! This entry was tagged Colleen Michaels, Emily Dickinson, events, improbable places poetry tour, massachusetts, my photography, poetry. Bookmark the permalink.